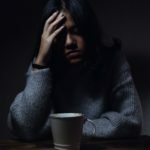 If you think going off to college or finding a job after graduation is tough, you may not want to hear that this particular time in life can put you in a mental health hazard zone. It’s important to remember that mental illness can be managed, and early intervention increases the chance of successful treatment. Be sure to pay attention to your own symptoms and the availability of medical and psychological help, and seek help if you need it. If you are driving through this hazard zone in your life right now, below are some simple non-medical coping skills you might want to try. Self-care isn’t all about expensive spa treatments and exotic vacations–there are many low-cost therapeutic activities that can help you process complex emotions and self-soothe. Only three are listed, but if you have any favorites not mentioned here, feel free to list them in the comments. The National Alliance on Mental Illness (NAMI) is the nation’s largest grassroots mental health organization dedicated to building better lives for the millions of Americans affected by mental illness. Find local support groups, educational programs, and drop-in centers by visiting NAMI-Charlotte.org. Bibliotherapy is the use of books as therapy in the treatment of mental or psychological disorders. Granted, if you are in college you may shrug at the idea of yet another book to read. But you may find yourself devouring a fictional book whose protagonist reminds you of yourself and your life situation. There’s lots of great young adult fiction out there, and book lists like this highlight the wide variety of mental health topics available in YA fiction. Many readers also seek comfort in memoirs, especially those of celebrities, and this list of books includes the personal stories of both known and unknown authors. If you feel like you don’t have time to read, find ways to weave reading into your daily activities. Listen to audiobooks during your commute, read an ebook while you wait in line at the grocery store, or flip through a magazine during your lunch break. Writing is one of the most therapeutic ways to confront your feelings. Studies have shown that writing in any format can improve mood, increase psychological well-being, reduce depressive and PTSD symptoms, and improve the immune system. When confronting stressors, writing about specific events and emotions produces the most improvement. Try thinking of it like a trip to the gym: schedule 15-20 minutes a day, three times a week, and allow your mind to practice digging deeper into processing your feelings. Don’t stress about spelling and grammar, and don’t stop to self-edit. Studies indicate that using positive-emotion words such as hope, love, anticipation, and awe, engender better mental health, as do words like realize and understand. Try out some different techniques to see what kind of writing brings you peace. For some, it may be creative writing, like poetry or fiction. For others, it may be bullet journaling, gratitude journaling, or freewriting. Different methods offer different results, so keep trying until you find a good fit. Taking care of yourself socially is the frosting on the cake, especially if you have already identified mental health issues or tendencies, or if you have an actual diagnosis. It doesn’t mean life is over, or that you should be embarrassed, or that you have been banned from the pleasures of life. It simply means you should make wise choices about where and how you spend your time, and the first thing you should eliminate from your life is too much alone time. Social interaction is not only helpful, but necessary for persons experiencing mental health issues. It can be difficult to go from 0 to 60 when it comes to socializing. If you’re not quite ready to take a class, volunteer, or meet up with people with similar interests, start out slow by going to a movie by yourself, visiting a museum, or packing a picnic for one at the park. 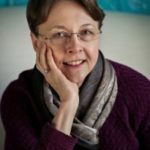 Linda Vigen Phillips writes realistic fiction that offers hope and encouragement to young adults and families facing mental or physical challenges. Her acclaimed debut novel, Crazy, depicts a teenage girl in the 1960’s coming to terms with her mother’s bipolar disorder. This book, drawn from Linda’s own family experience, has led to her involvement with NAMI-Charlotte, and her role in co-founding Providence Place (https://nami-charlotte.org/partnerships/ ), a drop-in center for persons with mental health issues and their families. Like Crazy, Linda’s second book, Behind These Hands, is a Young Adult verse novel. Linda lives in Charlotte with her husband. Connect with her at lindavigenphillips.com or on Twitter @LVigenPhillips.